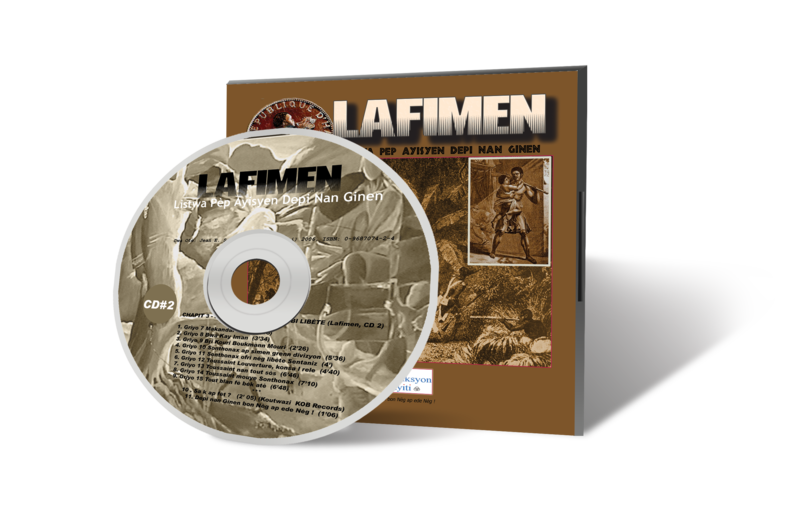 This is the second cd in the series Lafimen: Listwa Pèp Ayisyen depi nan Ginen (History of the Africans of Haiti) it's a professionally mastered audio recording which narrates the history of the Haitian people, unapologetically, from a truth-centric perspective. 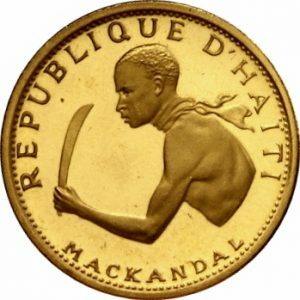 The opening piece “Makandal sove” recounts the exploits of the legendary François Makandal, a one-arm African maroon leader who organized some of the most successful attacks against the French, on the island of Ayiti, during the late 1750s. Riding Maten, his adventurous donkey, Jafrikayiti guides us through the woods to witness the famous “Bwa Kay Iman” ceremony of August 14-15, 1791. 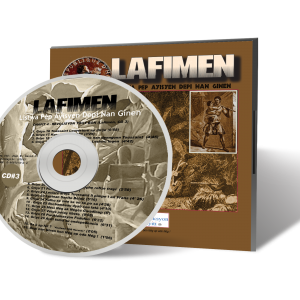 As you listen on, if you experience goose bumps, remember the professionally-mastered sound-effects only support the retelling of a true story; one of examplary courage, deep spirituality and absolute heroism. The 5th piece “Sonthonax ofri libète Sentaniz” puts in context the first emancipation proclamation issued by the French in August 1794, attempting to lure the kidnapped Africans into quiet submission. 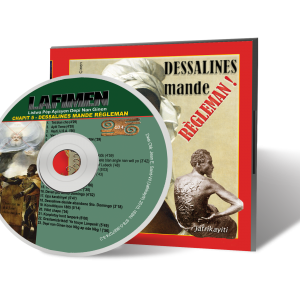 “Toussaint Louverture, konsa l rele!” , “Toussaint nan tout sòs”, “Toussaint mouye Sonthonax”, and “Tout blan fè bèk atè!”, put the spotlight on the military brilliance of the heir of the Kingdom of Allada’s Gaou Ginou, the Great François Dominique Toussaint Louverture. The CD closes with “Sa k ap fèt?”, a rap performance by KOB Records artist Heru Lutalo. It also features Jafrikayiti who delivers a special message to Haitians of all generations.